With the "food-based" holidays around the corner, you may be looking for inspiration for a new dish to wow your friends. 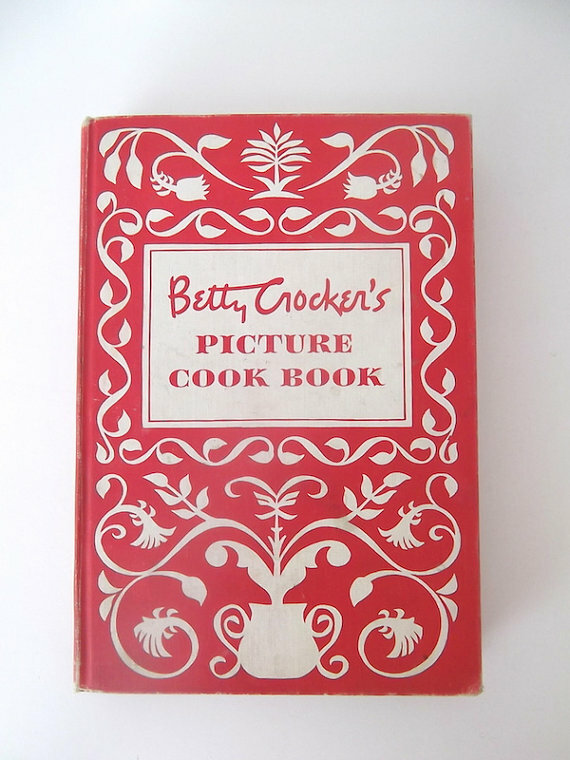 Instead of looking for the new, have you considered looking to the past--to be more specific, at vintage cook books? 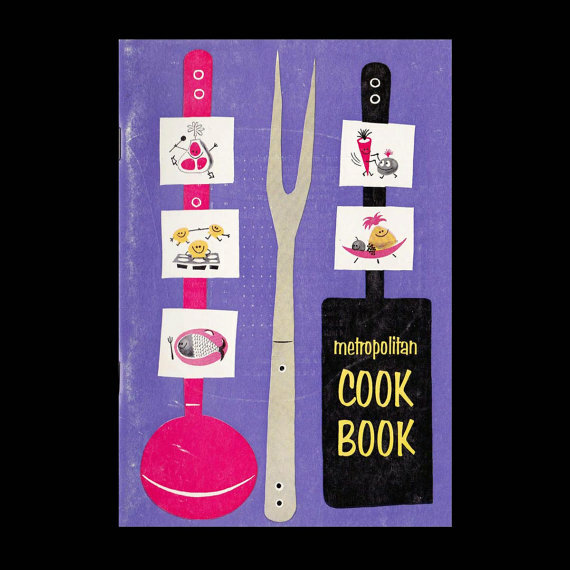 There are countless examples of vintage cook books online, and a search of your local bookshops, and even your local library most likely will turn up few available to buy or check-out. I have scoured the internet for a collection of cook books that I know will catch your eye. I say this, because I did not choose them for their recipes. I honestly cannot even vouch for their content, because, in this case at least, I judged the books by their covers. From simple or minimal designs to wonderful illustrations personifying their decade (1950s, 1960s, etc), these books look good enough to eat. It might follow that there has to be at least one amazing recipe inside (and some of them are even currently available for purchase online). Book appetit!